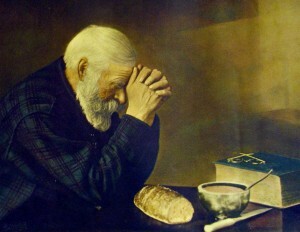 “Grace” – Not a blue-eyed blond or simply a prayer before a meal! “Grace” is not something you say before a meal. And from a biblical perspective “Grace” isn’t a blue-eyed blond either. Even saying that “grace” is “God’s unmerited favor” given to unworthy sinners is only half the story. It is that… but it is more than simply that… It is also God’s rich and ample provision (you could even say, abundant and profuse) of everything we need in order to please Him, do His will and fulfill his purposes! One biblical writer put it this way, “His divine power has given us everything necessary for life and godliness!” (2 Peter 1:3) Wow! !